On this page you will find a directory of our properties on offer for sale on the Bukit, South Bali. To go to the page of the property of your interests, please click on the pictures of that certain property or click on the button that says “More information”. Unique property for sale features a luxurious 4 bedroom tropical villa with a 3 bedroom modern loft-style guesthouse in South Bali. 1 Bedroom villatel for sale. A villa located in a complex. Owners may stay 21 days per year for free in their villa. You think you will find this kind of modern villas only in Malibu or other luxurious places? Well, here in Bali also possible. High quality villa for sale in Balangan. 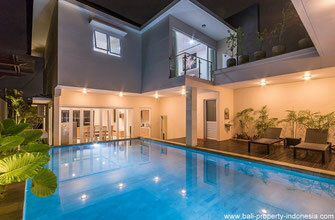 A excellent maintained superb villa with stunning views over Bali offering you 4 bedrooms and holding a Freehold title. 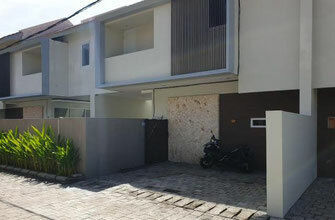 This is a cozy home in Puri Gading, located in a quiet street, still nearby shops and the international school. A 4 bedroom house with some fine Indonesian decorations. You will have stunning ocean views from this villa. 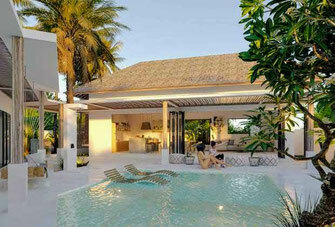 In fact, you buy 2 villas with each 6 bedrooms available. It is not possible to buy these villas individual. Just a 5 minutes ride from the Jimbaran bay and beach, you will find this spacious villa. 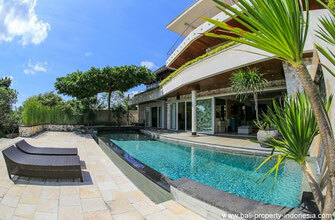 A property with 4 bedrooms and a Rooftop terrace which is overlooking South Bali. Space, that is what you will get if you are buying this huge house in Taman Griya. This house is a large property with totally 5 bedrooms, spread over 3 floors.